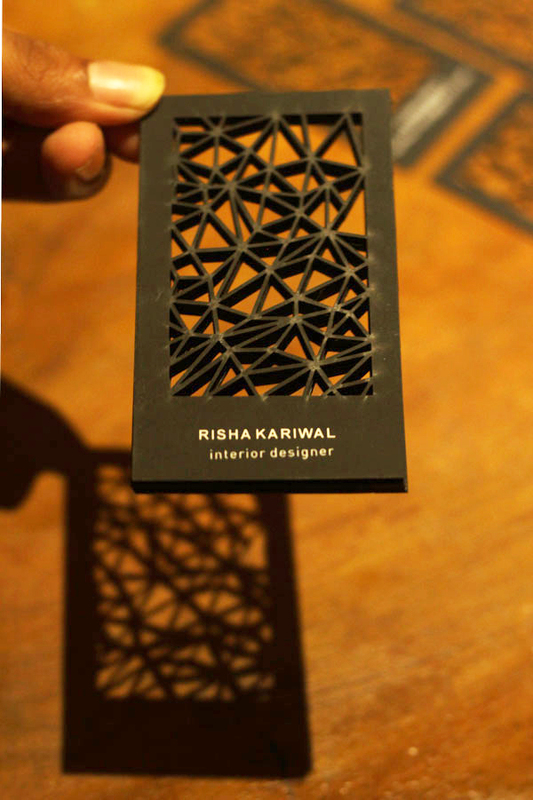 Smriti Kariwal designed these business cards for her sister, Risha Kariwal, an interior designer. “Paula Scher said, ‘Great design is serious, not solemn, and few times in your career you will get to do serious design“. This project was a step closer towards serious design. The client, i.e. my sister is an interior designer.  The design is mostly dedicated by the confinement of the brief. Here the brief was to depict the nature of the work,” Smriti said. 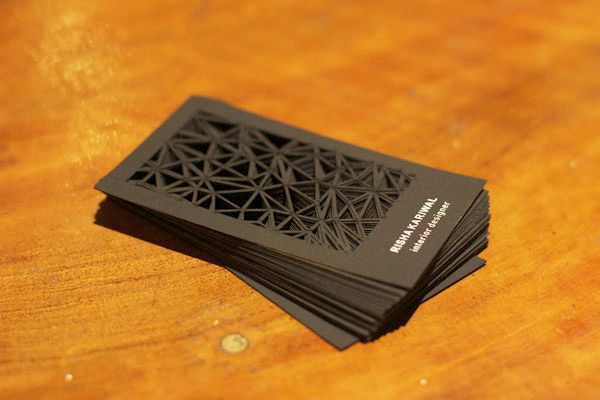 These impressive business cards were printed on black plike 200 gsm Sona Signature papers-Cordenons. 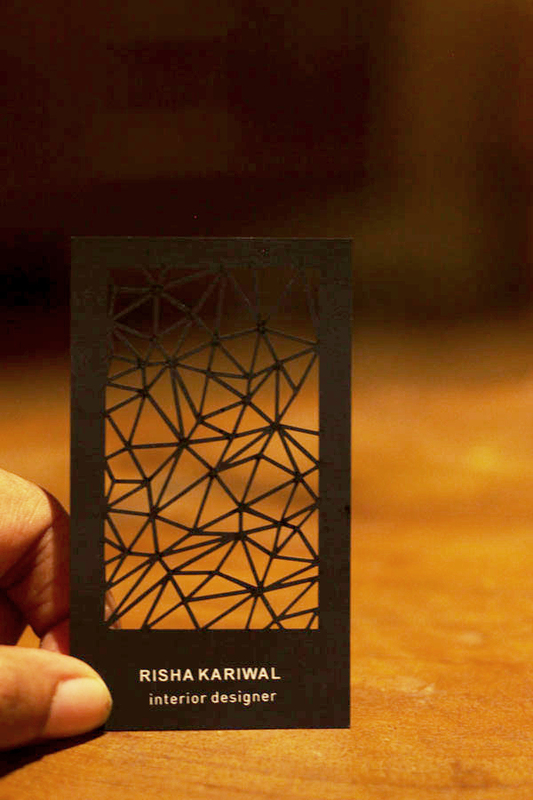 The cards were laser-cut before went through screen-printing. “The challenge was to make sure that there are not burnt marks on paper, hence each line was placed at precise 2mm distance from the other,” Smriti added. This is a mindblowing, intricate cut-out design that shows sophistication and uniqueness. No doubt it will leave that lasting impression on everyone who’ve seen it!